Scones in the morning make me happy. I love to sit down and have a cup of coffee, some fruit, and a warm scone. 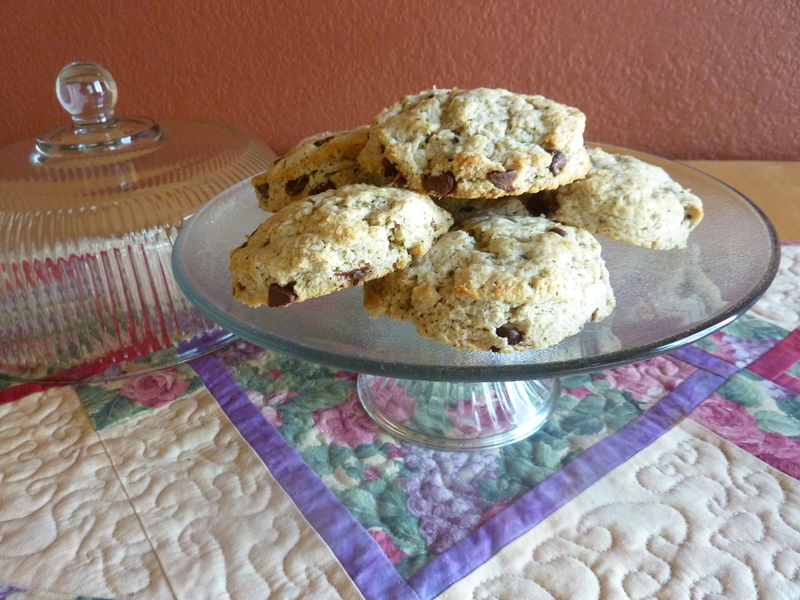 These scones make me particularly happy because they have a little bit of espresso and an explosion of chocolate. Scones are a little tricky to make. 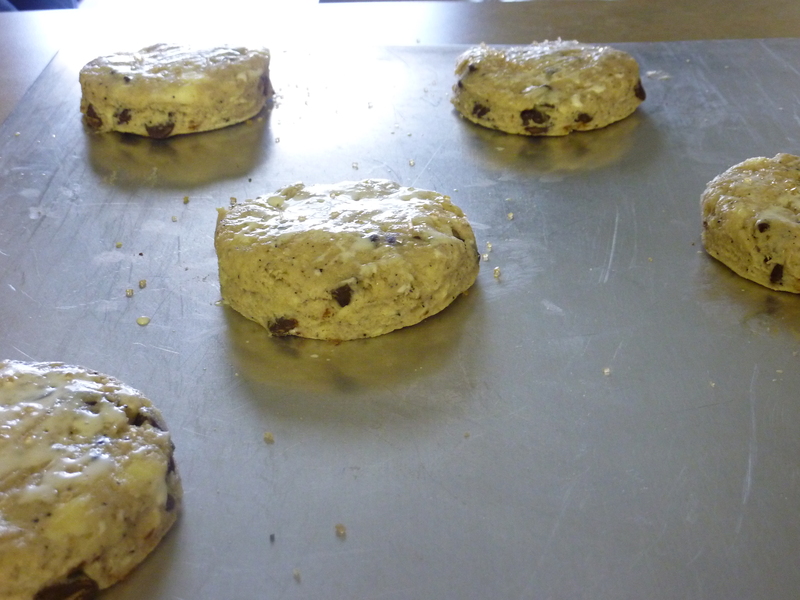 Many times I’ve attempted scones and they have not turned out. They were too soft, too tough, too flat. However, after many attempts and a little research, I learned a few tricks to make them easier and come out of the oven tasting heavenly. These scones are not too sweet and not too dry. For this recipe you need real, unsalted butter. 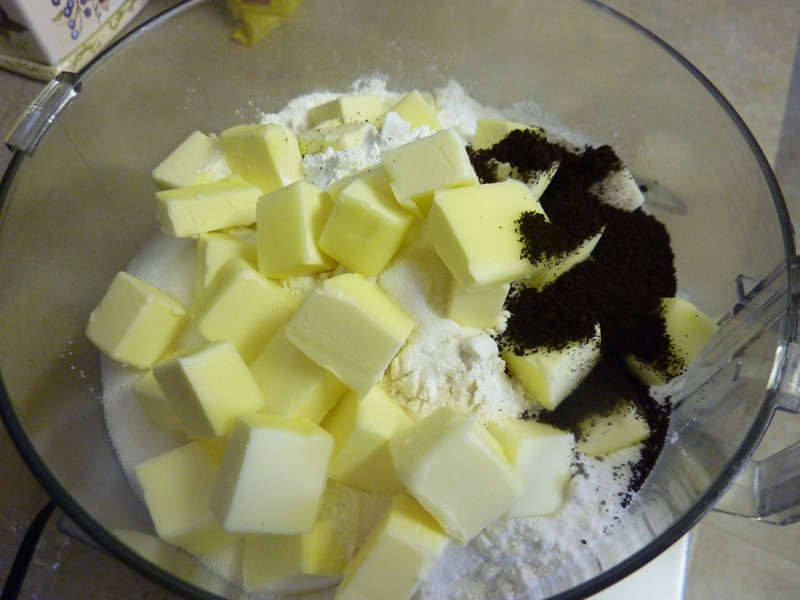 Place all the dry ingredients in a food processor with the butter. Pulse until the butter is about pea-sized. Having a food processor helps suspend the butter in the dough, so when it bakes it create small air pockets and keep the scones fluffy. 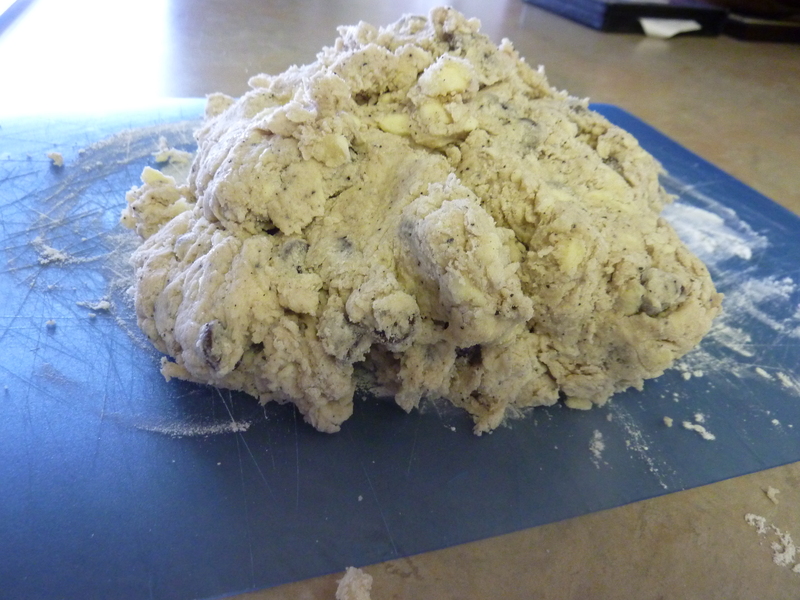 (You don’t want to rub the butter into the flour, as this creates a doughy scone after it bakes.) If you don’t have a food processor, you can cut in the butter with a pastry knife, but do so quickly, as you don’t want the butter to get soft. 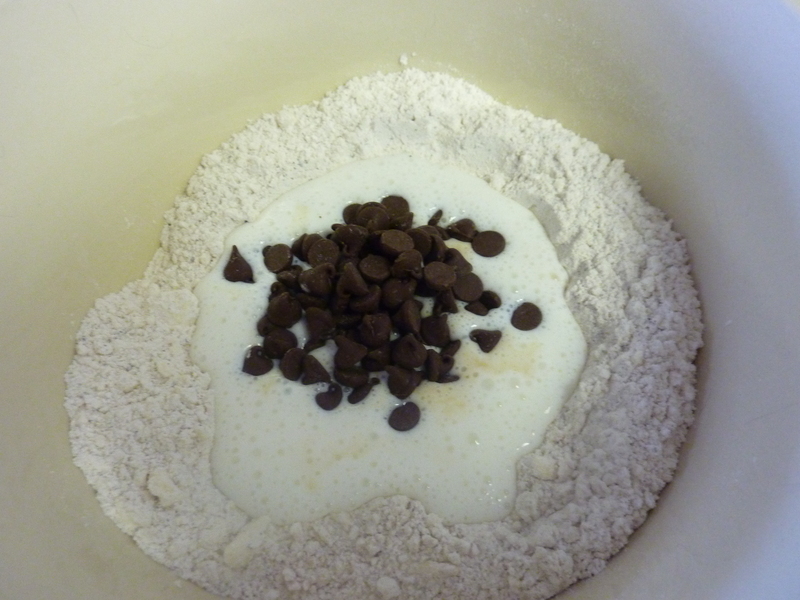 Place the ingredients in a large bowl. Create a well. Pour in the buttermilk, followed by the chocolate chips. 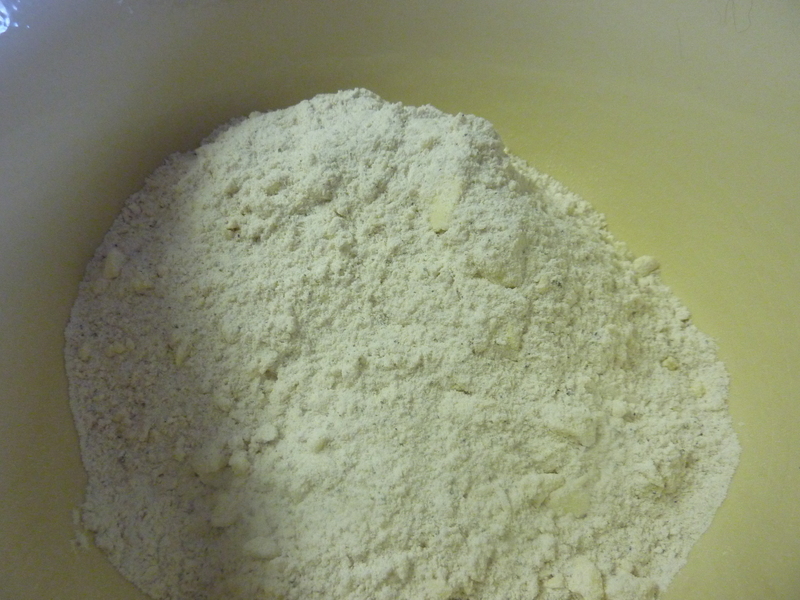 Using a wooden spoon or spatula, stir the dry ingredients into the wet until a soft dough is formed. 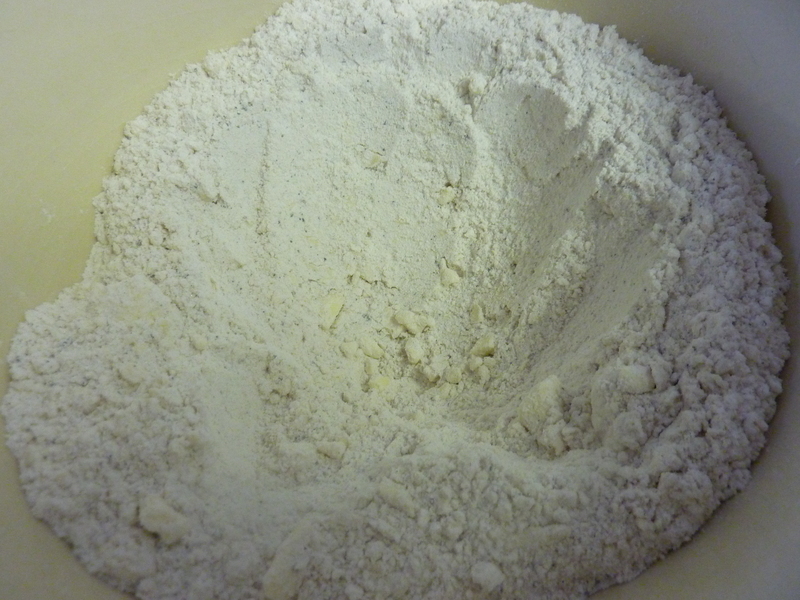 Dump out onto a floured surface. Place on a cookie sheet and brush with a little heavy cream and sprinkle with coarse sugar. 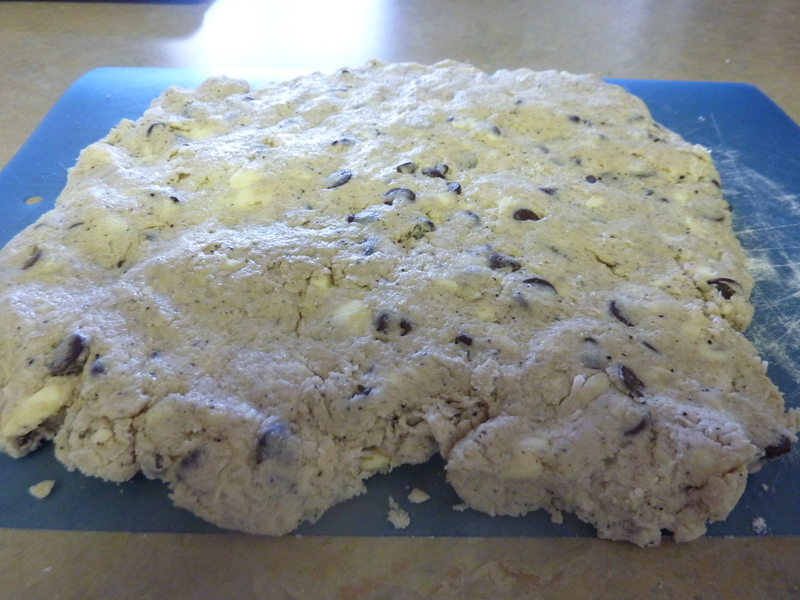 Bake for about 12 minutes and then place on a cookie sheet to cool completely, if you can wait that long. Then grab a cup of coffee and enjoy!